Lexxi & Kara have graciously organized this fundraiser for our family. They are incorporating it into their DECA marketing project for school and our both seniors at Lees Summit North High School. Out of all the other things they could have done they choose our family. It all was because my mother had put a flyer out early summer for a fundraiser they held in Lees Summit, MO and they happened to come across on their vehicle. 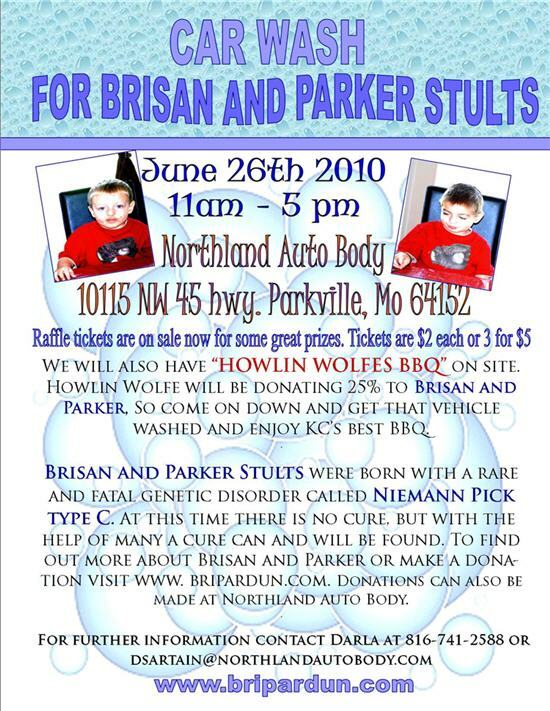 Car Wash Fundraiser for Brisan and Parker, organized by Northland Auto Body in Parkville, MO will be held on June 26, 2010 from 11am-5pm. Please contact Darla @ dsartain@northlandautobody.com in Parkville, MO for more info. Information listed below in the flyer. We will also have “HOWLIN WOLFES BBQ” on site. 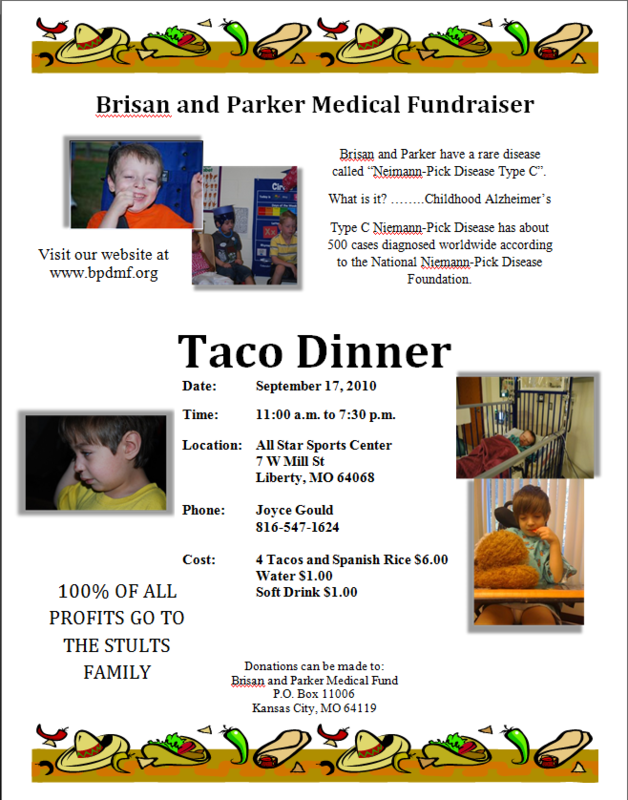 Howlin Wolfe will be donating 25% to Brisan and Parker, So come on down and get that vehicle washed and enjoy KC’s best BBQ.